Each of the body's organs and systems vibrates, or resonates, at its own frequency. Discordant energy is produced when this resonance is interrupted by trauma. This prevents correct information from flowing freely to the affected area. Trauma can be physical, emotional, or spiritual. It can be literal or symbolic. 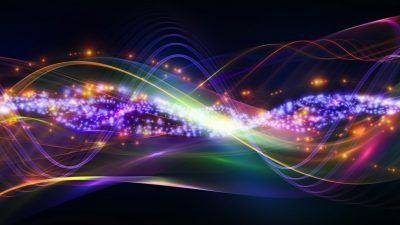 Harmonic sound helps clear that dissonance. It restores balance in the individual and returns the body to its inherent, natural frequencies. Sound healing has many forms. It is an ancient practice because of its effectiveness and its soothing, non-invasive approach. Through seemingly simple notes of the scale, sound serves as a powerful carrier for intention into the Client’s consciousness. The body easily recognizes, absorbs, entrains with, and utilizes the sound. Buffy generally includes a balance of approaches in harmonic sound entrainment sessions. She begins the sound work by applying tuning forks both around and on the body. You are seated. She continues rebalancing your energy with the forks while you are lying on a massage table. This is followed by discussion of relevant intuitive guidance she receives plus feedback from you about your experience . Each appointment is unique, and the proportion of time spent in each of these three stages is determined by both your needs and your readiness to receive. Harmonic sound can be utilized alone. It may also be an ideal complement to other healing modalities, often amplifying their effectiveness and reducing the healing crisis.